Here is this month’s Home Truths column, which is about moving house. Yesterday, we read in the newspaper an item that would have been suitable for the column but it was too late to include it. 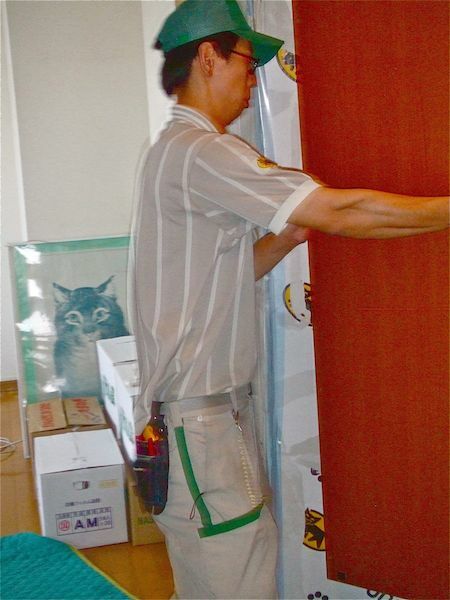 The Japan Trucking Association has issued a press release warning consumers that from mid-March to early April, moving companies are expecting a huge amount of demand–one-third of demand for the full year, in fact–and urges anyone who is thinking of moving during that time to put off the move until later. In our experience, people usually move house because they have to, and have to move during a certain period of time due to specific circumstances, such as a new job, new school year, or the availability of a rental or purchased residence. In any case, March 3 seems way too late to make such a warning, but, then again, anyone who is planning to move during the period described and hasn’t made arrangements yet probably deserves whatever difficulties arise when they finally do try to make arrangements. But in the end, you can always rent a truck and do it yourself, which we’ve done many times. Six of the ten elderly people who died in a fire in a Gunma Prefecture nursing care facility last March had been sent to the facility by the Sumida Ward welfare office. Since the fire, the press has talked a lot about this practice of sending poor old people out of cities, where they can’t afford public facilities, to rural areas where the land values and thus the facilities themselves are cheaper. The Tokyo government has carried out an investigation into how to solve this problem, and they’ve come up with an idea. The Tokyo government wants to increase the number of single rooms in so-called “care houses” by 2,400. Care houses are privately run housing complexes where single seniors–meaning people over 60 years of age–live by themselves. The facilities have baths and serve meals. 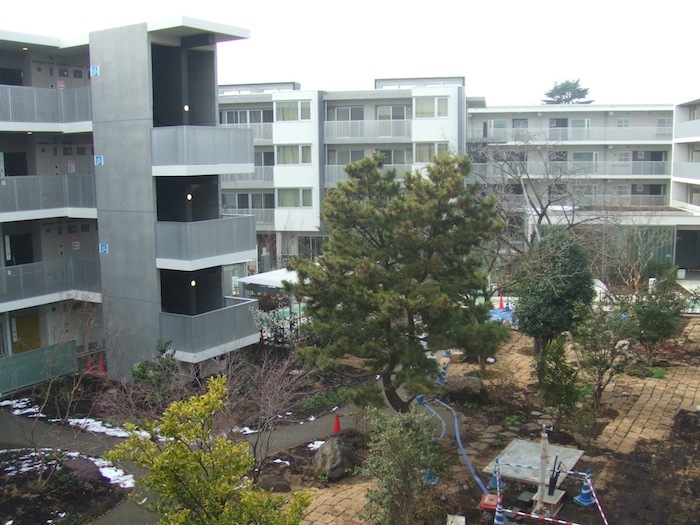 The Tokyo government has found that rent for these care houses is prohibitively expensive since land agency regulations state that each room of a care house must be at least 20 square meters. The Tokyo government estimates that a 20 square meter room costs about ¥180,000, which is beyond the means of the government itself if it is footing the bill for indigent seniors. So they have asked the land ministry to reduce the minimum standard to 7 square meters, which is the size of a 4.5-tatami room. This, the government estimates, would cost about ¥100,000. In other words, you pay about half for a room that is only one-third as big. As of 2007 there were only 259 care houses in all of Japan comprising 86,000 resident seniors. Fifty were in Tokyo. According to the government, new housing starts in 2009 were the lowest they’ve been in 45 years. At 788,410 units, it was also the first time since 1967 that the number of new housing starts fell below a million, and the 27.9 percent year-on-year drop was the highest since 1974. On Jan. 22 the land ministry announced that inspection criteria for construction of new homes and condominiums would be simplified starting sometime in June. At present it takes about 70 days for new construction to be approved after the proper documents are submitted, and the ministry wants to cut this period in half so as to stimulate new home construction, which is sluggish. Criteria for inspection of documents was made stricter after the 2005 scandal that exposed how some architects and builders were forging documents regarding the strength of materials used in construction of new buildings. As a result a number of hotels and condominiums had to be rebuilt in order to meet earthquake standards. In 2006 the land ministry tightened inspection procedures of these documents and since then the number of new housing starts had declined. Of course, the ministry acknowledges that the main reason for this decline is the subsequent recession and the population shrinkage that will continue in the future. Housing starts, after all, have been declining since they peaked in 1990 at 1.7 million units. Between Jan. and Nov. of last year, only 719,000 units were built. Does this mean business will be back to normal, with all the negative connotations that cliche carries?